You’ve just finished a job interview and you’re feeling great about your chances of landing the position. Walking out of the building confidently, you play through the interview in your mind, remembering the questions you answered well and a few areas where you think you could have done better. But what’s next? What are you going to do over the next few days to help land the job and start this new path in your career? If sending a thank you note to the interviewer wasn’t at the top of your list, it’s time to make some adjustments. Hopefully, you’ve experienced the joy of being thanked for doing a good job or helping someone. As it turns out, that feeling isn’t just a passing emotion, it’s actually a drug produced by your brain. A study conducted at the University of North Carolina found that when you have an interaction with someone else and gratitude is shown, an increased level of oxytocin is produced in your body. Known as the “love hormone”, oxytocin has an impact on social behaviors including relaxation, trust, and stability. This hormone is thought to be a major component in relationships, so taking the time to show gratitude toward a potential employer has an obvious benefit. As you sit down to write your thank you note, start by thanking the interviewer for their time and the chance to meet with them, but don’t stop there. Make sure to remind them about your strengths and highlight one of your stronger answers from the interview. If they had a question about the skills you can bring to the job and you had a great response, remind them of it and expand on why you’re interested in the company. If there are qualities or areas you wish you’d had more time to speak about during the interview, the thank you note is the perfect time to bring those up. Keep the note short, two to three paragraphs, and don’t forget to proofread it several times. This is another chance to make a good impression, so don’t let spelling or grammatical errors set you back. There were likely multiple steps to take along the way to landing your job interview, followed by the time it took to prepare for your interview. Consider your thank you note the next step in the process of getting the job, but don’t make the mistake of thinking it’s your last. Write down notes on the questions you were asked, including the ones you know you can do better on in the next interview. 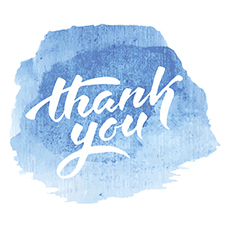 If there was anything the interviewer asked for you to send, like a sample of previous work or a list of references, make sure you include those with your thank you note. This is also the time to be patient. Be sure to pay attention to the time frame the interviewer gives you for making their decision. If they say it will be two weeks, wait two weeks before checking back to see how the process is going. Each interview process is different, but there’s a chance that you will be called in for a second interview that includes other leaders from the company. Take the notes you wrote down from your interview and find areas where you can strengthen your answers. Then, research more about the company and think about the questions you want to ask the interviewer. Great questions will help you make a great impression with leaders. What other tips would you give to someone sending a thank you note? What have you included in your thank your notes after an interview? Let us know in the comments section.